This week Kansas roads will be busy with holiday travelers. It is predicted to be one of the highest traveled Thanksgivings in recent history, in over a dozen years. State officials want to remind motorists to prepare in advance for travel, and make responsible choices as they travel. 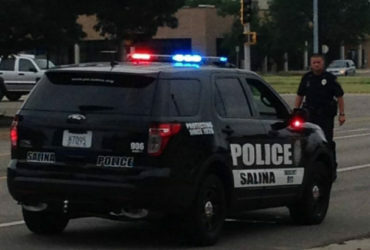 The Kansas Highway Patrol, along with local law enforcement organizations from throughout the state including the Salina Police Department at the Saline County Sheriff’s Office, have mobilized to participate in the annual Special Traffic Enforcement Program (STEP) campaign. The program is courtesy of a grant from the Kansas Department of Transportation. The STEP program will run in conjunction with the Kansas Thanksgiving Safe Arrival traffic enforcement campaign. The goal of reducing fatality and injury crashes. Check your route of travel for road conditions and/or construction work or other delays before you leave. The Kansas Department of Transportation (KDOT) provides a 511 road condition hotline for motorists to use. Call 5-1-1 from any phone, or visit kandrive.org to check roads in the state of Kansas. Remember, we are in the peak time for car-deer crashes in our state. Look out for deer, and if you see one, remember they seldom travel alone. If you’re celebrating and consuming alcohol, make sure you designate a sober driver beforehand, and give them your keys. If you have no ride, call a taxi or a family member to get you home safely. If travelers are in need of assistance on a Kansas highway, or to report a suspected impaired driver, they should call *47 (*HP) for the Kansas Highway Patrol, or dial *582 (*KTA) on the Kansas Turnpike. Dispatchers and troopers will both be working throughout the holiday weekend.